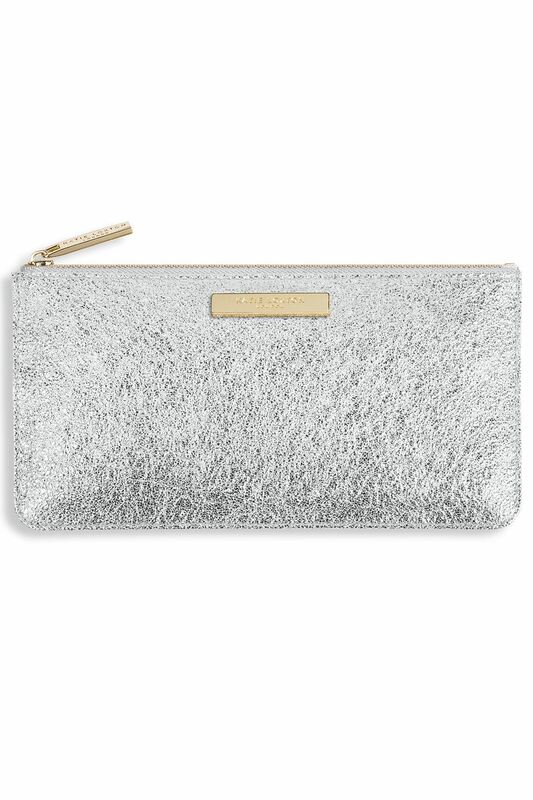 Katie Loxton Metallic Silver Marcie Slim Pouch. A luxury case, that is perfect for carrying your stationery and make-up essentials. Your perfect beauty essential this season, this gorgeous silver pencil case-like pouch features a soft crackle-like glistening surface, a gold logo bar and zip fastening, finished inside with a pale grey fabric lining. A luxury case, that is perfect for carrying your stationery and make-up essentials.